Unposted. 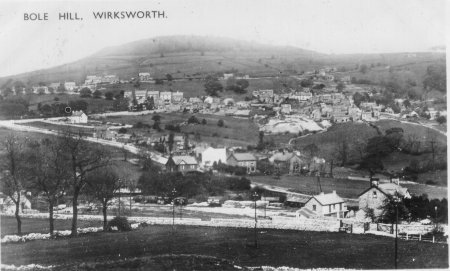 The lower left shows railway wagons in the Cromford Road sidings and on the right has the lower part of the line from Stoneycroft Quarry. The spoil heaps of the Bage and George mines are clearly seen in the mid-ground. Bolehill and Barrel Edge are in the background. 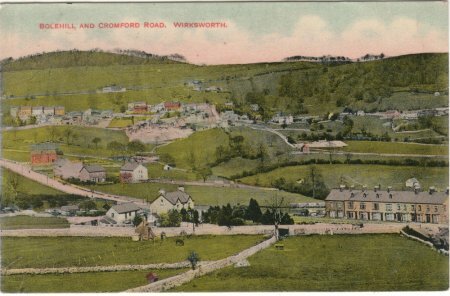 This is a tinted postcard and the original photo was by James Watterson of Wirksworth. Christmas message on the reverse. 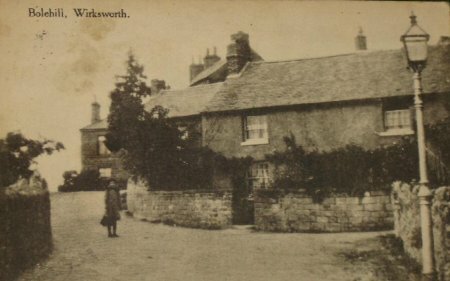 The card has an Edward VIII 1d stamp and was sold by H.L.Doxey, Market Place, Wirksworth.